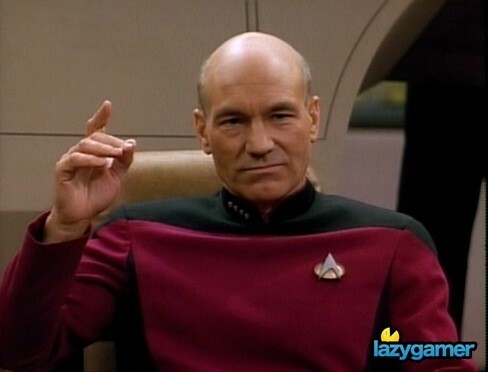 Everyone’s favourite bald actor (Sorry Vin Diesel) has revealed that he will be the latest person to provide narration for the iconic property, a role originated by Orson Welles and later passed on down to the magnificent audio spirit that currently uses actor Morgan Freeman for a host body. Speaking to Gamesradar, Stewart went on to express his fondness for the War of Worlds property. As a young boy, I remember watching the The War of the Worlds so many times I was quoting the lines.The alien invasion both terrified and fascinated me and the movie has stuck with me since then. Now, being part of this project will provide a new way for gamers around the world to experience a fresh new take on a classic. 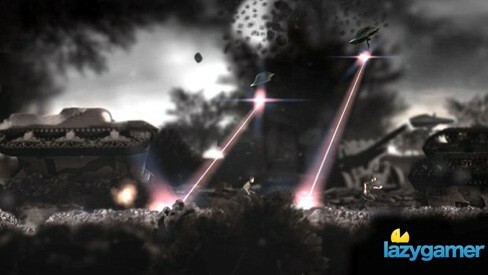 Scheduled for a release on Xbox Live Arcade and the Playstation Network, War of the Worlds will be based on the classic 1953 version of the world,and will play as 2D action platformer.Playing as a random person caught up in the extraterrestrial war, players will have to find a way to sneak,fight and survive every level while also paying homage to classic platformers such as Flashback and Out of the World in its visual style. War of the Worlds will be out later this year and is being developed by Ocean Interactive.